A non-profit organization to promote the study and conservation of Alaska native plants. 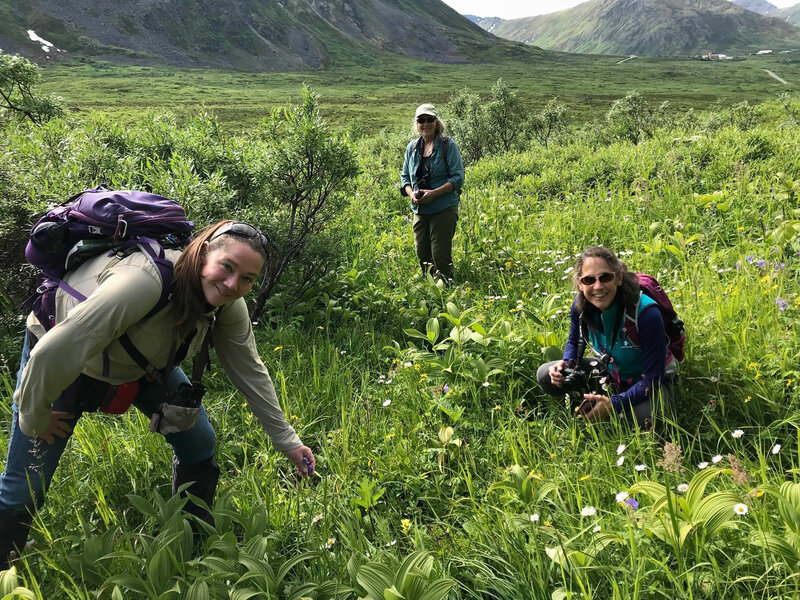 The Alaska Native Plant Society (AKNPS) is a non-profit organization dedicated to studying and conserving Alaska native plants. General membership meetings are open to the public and are held on the first Monday of every month from October through May. Various guest speakers give presentations on topics related to native plants and AKNPS members give informative slide shows, plant family, and mini- botany talks. The October meeting starts earlier as it is a potluck where members bring 5-6 slides of their summer adventures to share. See our recent news for more information. There are numerous volunteer opportunities including leading public hikes, invasive plants control, plantings and cooperative work with other local groups. Local events are listed on the Upcoming Events page. Monthly meetings, held on the first Monday of each month, October through May (with occasional exceptions due to holidays), at 7 PM at the Campbell Creek Science Center in Anchorage. All interested persons are welcome. Field Trips, ranging from half day local outings to multi-day excursions throughout Alaska. Some prior trips have been to Kodiak, Seldovia, Chitina / Kennicott, and Denali National Park. Displays at local malls during “Celebrating Wildflowers” periods. Publication of Borealis, our bi-monthly newsletter for members, October through May. Compilation of Alaskan flora references in a bibliography. Public Land Sources for Native Plant Materials in the Southcentral Alaska Region for Personal Landscaping Use click here to download pdf. This website which is an ongoing project for which volunteers are welcome. The first field trip of this year will be in 2 weeks, to Windy Corner (on the Seward Highway), with Marilyn Watts and Annie Ronsse. They will have plenty to show you, as spring is well ahead of normal. Below are photos from a short walk there today. A complete summer activities schedule will be sent to ANPS members soon with 28 other events. Visit our web site for more information about ANPS and membership forms. Things are greening up and some already near flowering in sunny rocky places along the Turnagain Arm Trail. The next ANPS meeting will be Monday, April 1, 7PM, at the Campbell Creek Science Center. 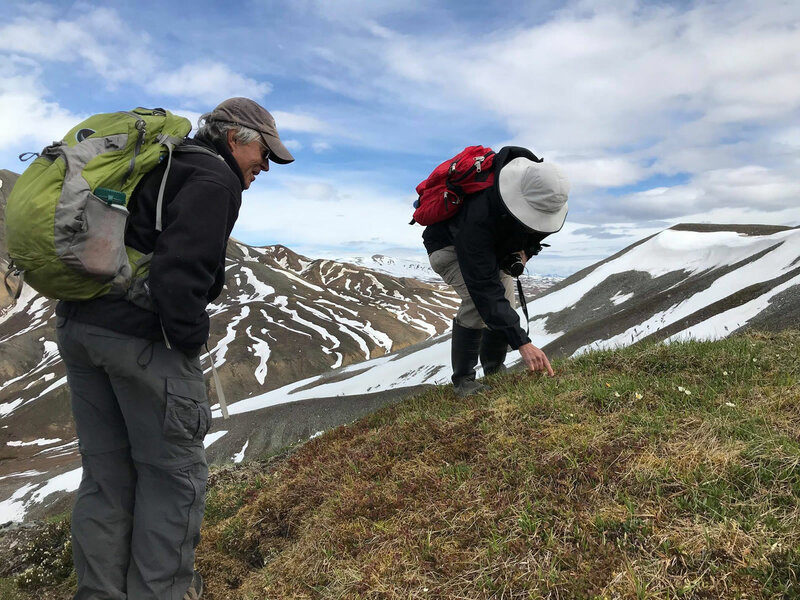 Dr. Tom Choate will continue our study of the Rose family in AK with a brief report about Shrubby Cinquefoil, and Dr. Marilyn Barker will summarize “How a Plant Moves” a chapter in the book we’re studying this year, "What a Plant Knows". Dr. Barker will also give our feature presentation about Horsetails (Equisetum). The meeting is open to the public, no admission or parking fees. Thanks to the Campbell Creek Science Center for use of their facility! © 2019 Alaska Native Plant Society. This website was designed and is maintained by the Alaska Native Plant Society.